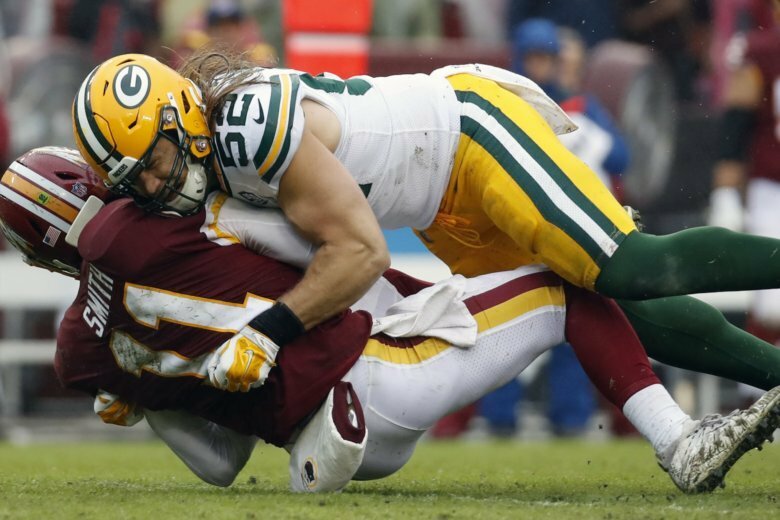 Green Bay Packers linebacker Clay Matthews does not understand why he was flagged — yet again — for roughing the passer, this time while sacking Washington's Alex Smith on Sunday. There are sure to be more questions and more debate around the NFL about what constitutes a penalty on such plays. Even Smith wasn’t quite sure about the call that came late in the third quarter of Washington’s 31-17 victory. Neither were other players — or the coaches — from both teams. Matthews broke free into the backfield, grabbed Smith with both arms and took down the QB in a seemingly straightforward manner.